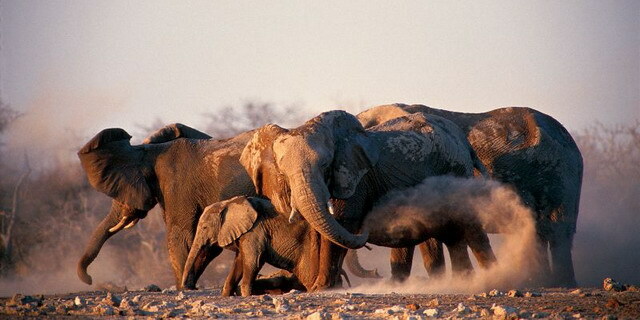 The Etosha National Park is Namibia's premier game-viewing destination. At nearly 8,000 square miles in size, it is Namibia's largest National Park, as well as the only Namibian Park featuring the "Big Five" (lion, leopard, elephant, buffalo, and rhino). 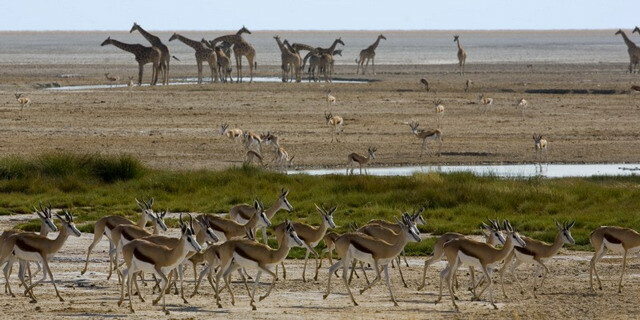 The central point of the Park is the 2,000 square miles expanse of Etosha Pan, "the great white place"; the bush and grasslands surrounding the Pan support a surprisingly high concentration of plains game and, during the dry winter months, large herds of springbok, zebra, and oryx gather to drink at the few permanent watering holes. Predators are never far behind. 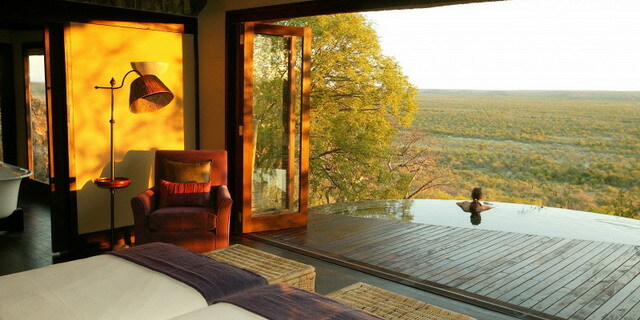 With the vast pan as backdrop, these concentrations of wildlife, and their daily struggle for survival, make for some of Africa's most interesting wildlife sightings.